"I'm really proud and I don't feel like I really belong here. I'm so humbled by it..." Jackson said from the stage. Alan Jackson, Don Schlitz and Jerry Reed are the newest members of the Country Music Hall of Fame. The Class of 2017 were celebrated on Sunday evening (Oct. 22) during a private Medallion Ceremony held at Nashville’s Country Music Hall of Fame & Museum. 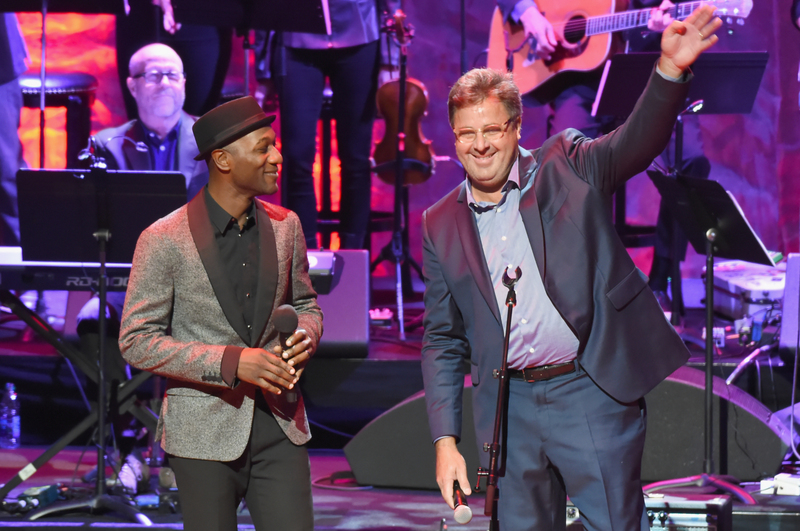 For nearly three hours, the three inductees were welcomed by their peers, who performed several songs by each artist, as well as shared their musical journeys through video presentations and speeches. 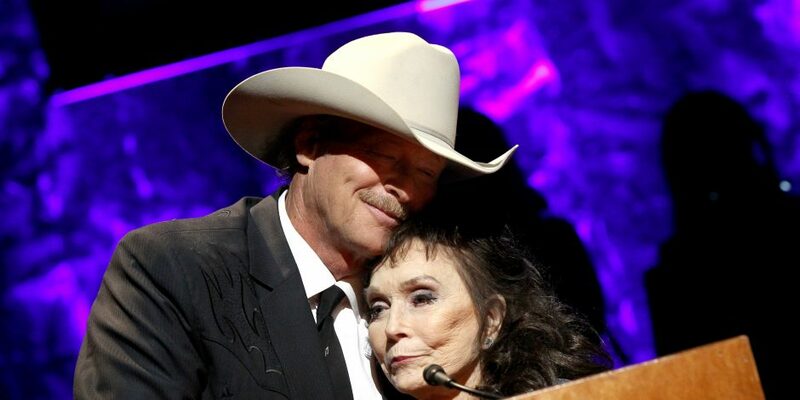 The biggest surprise of the heartwarming evening was when Loretta Lynn, who suffered a stroke in May, walked out to the stage on George Strait’s arm to help induct longtime friend Alan Jackson. 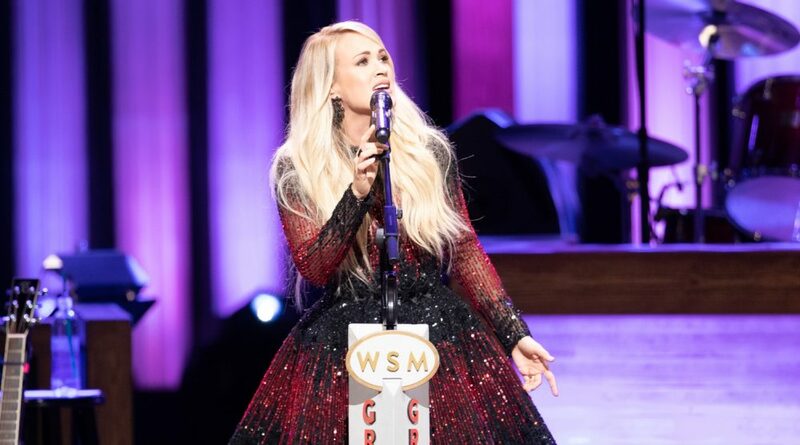 Her second public appearance since she performed on her ranch as part of the Tennessee Motorcycle and Music Revival earlier this month, the country legend joked that only Jackson could get her out of the house. Before Jackson walked on stage to be given his medallion from Lynn, she also let him know the power his music has had on her. 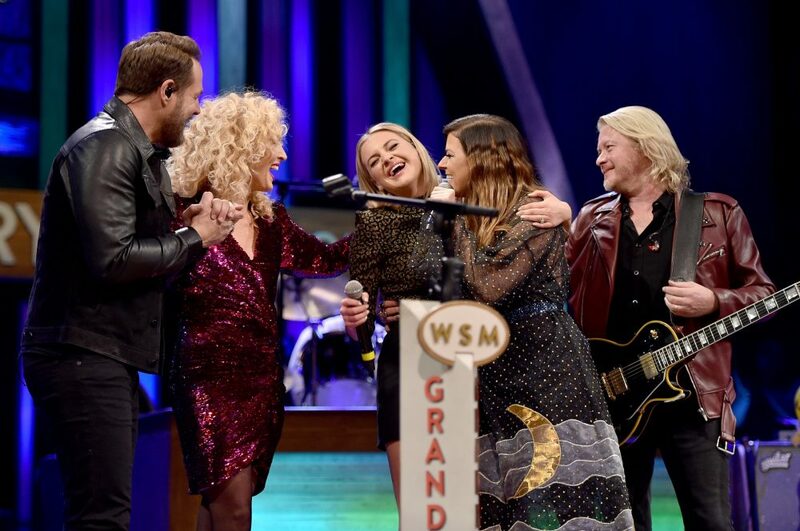 “At that bad time, 9/11, Alan sang ‘Where Were You (When the World Stopped Turning).’ I cried all day long and I still cry when you sing it,” she added. During the red carpet before the ceremony, Jackson told Sounds Like Nashville that he was “surprised and honored and felt unworthy” when he learned that he’d be the newest member of the Country Music Hall of Fame. He said he’ll likely feel the same way during the Medallion Ceremony when his plaque was unveiled. “I think I’ll be very flattered and at the time feel like it’s a dream and I’m not supposed to be here,” he confessed. Other artists would beg to differ. Charlie Daniels, who was inducted into the Country Music Hall of Fame in 2016, raved about Jackson’s contributions to country music. Later that evening a soft spoken Jackson took the stage to share his gratitude with those in attendance. Jackson’s acceptance speech was a heartfelt one that poked fun at himself (“I’m not really shy. I’m just socially awkward but mainly I don’t like to talk much”) and shared his appreciation for those who saw talent in him like Lynn, George Jones and his diehard fans. 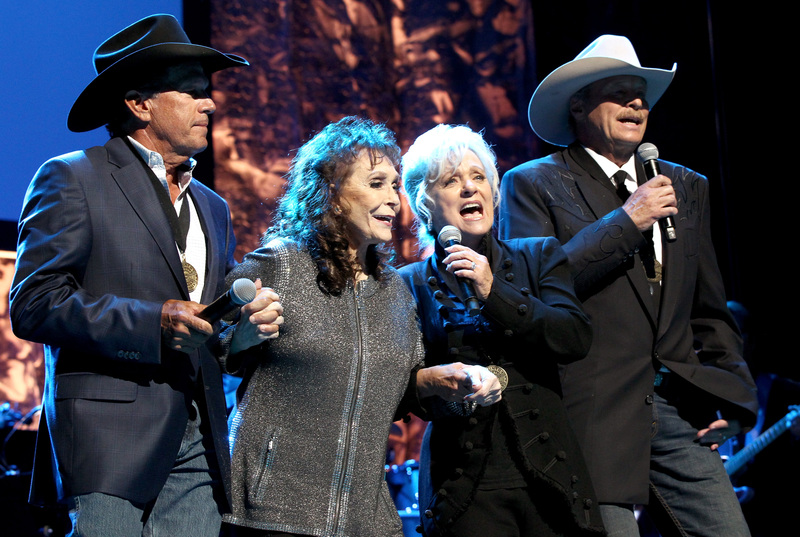 The late Jerry Reed was also inducted and his daughters delivered a tearful speech honoring their father. Before the ceremony, each spoke with us, sharing that the induction was something they had wished for. Seidina and sister Lottie Zavala are both musicians and they shared some of the best advice their father bestowed on them: “Remember your roots. He would always tell me, ‘Do what you love and love what you do, no matter what it is,'” Zavala recalled. 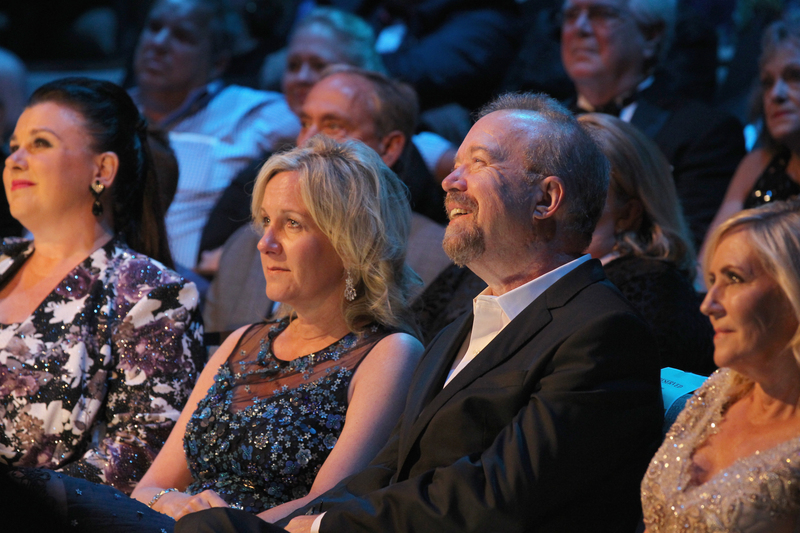 Reed, Schlitz and Jackson were elected as the 131, 132 and 133 members of the Country Music Hall of Fame. The evening’s ceremony closed with a powerful performance of “Will the Circle Be Unbroken” led by Connie Smith, Lynn, Strait and Jackson.